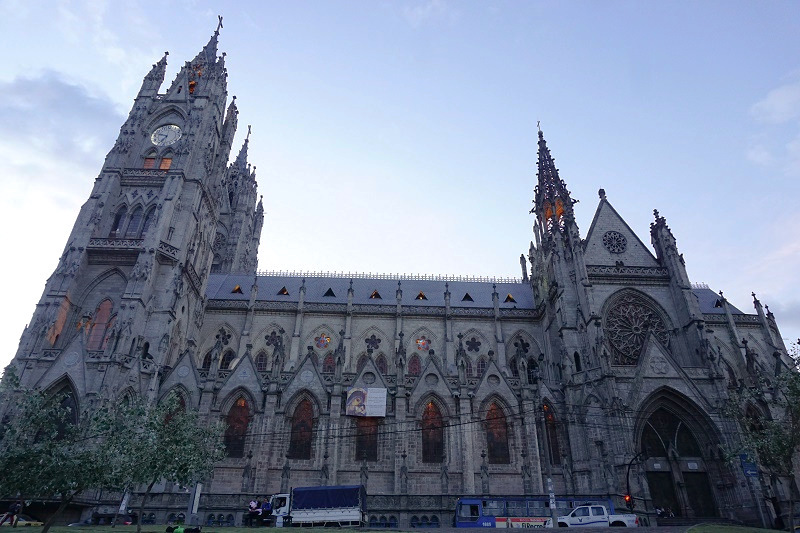 Quito is the capital of Ecuador which sits at an altitude of 2850 meters. Although the city is not far from the equator, it is still reasonable cold due to the altitude. But if the sky clears up, the heat from the sun can be very harsh. We got to Quito from Otavalo in the north of Ecuador. The bus ride cost was USD 2.5 per person and plenty of buses leave Otavalo for Quito until late. We had an unfortunate incident on the bus ride, though our amazing insurance company has compensated us for it. 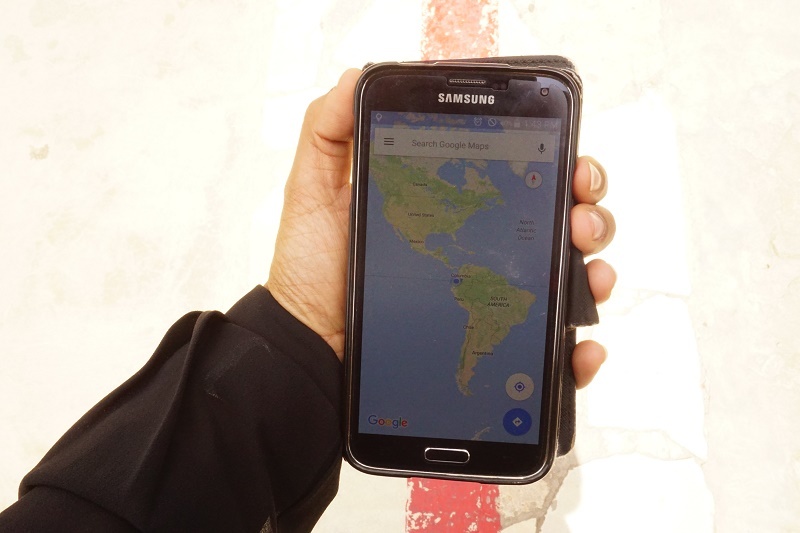 If you are traveling or planning to travel in South American countries, we highly recommend you to read our safety while traveling post. The Historic Centre of Quito is UNESCO heritage listed and is one of the most well preserved colonial cities in Latin America (I think I’ve written that sentence too many times!). 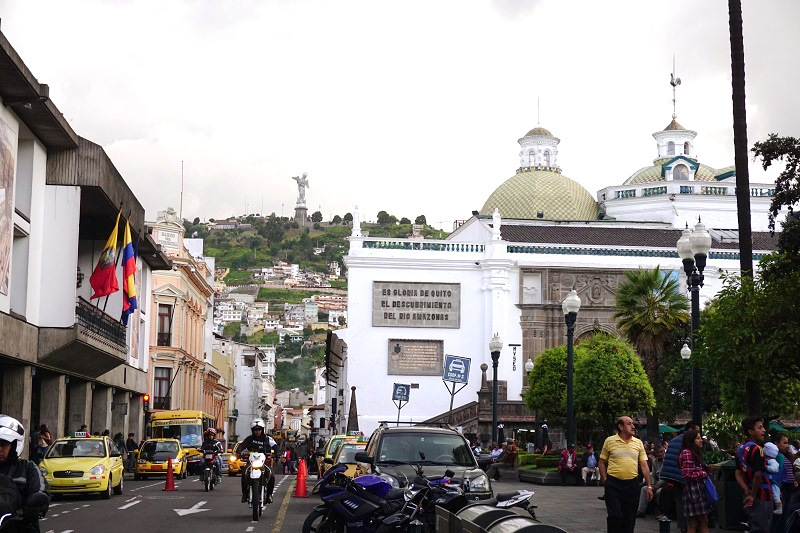 While the entire old city is beautiful, there are a few must-sees: The Presidential Palace, Cathedral of Quito, Convento San Fransisco, Basílica del Voto Nacional and Iglesia Compañia Del Jesus. The Iglesia Compañia del Jesus in particular was mind blowing. The altar was huge and gilded with gold leaf. The entire roof and most of the pillars had been painted gold. 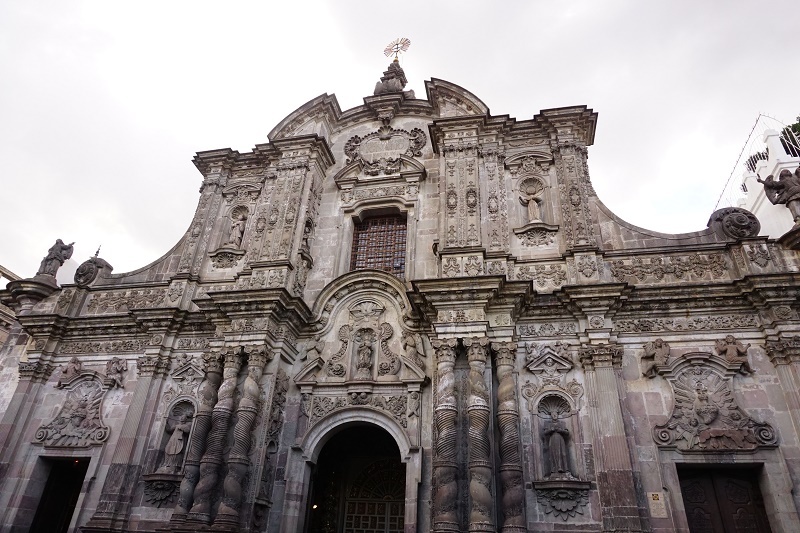 In addition, the church was a museum of the jesuits order started by St Ignatius of Loyola. We paid $4 per person to enter which was a bit too much but the altar, museum and the paintings were absolutely stunning. There is a wall size painting of hell and heaven which is unbelievable. Basílica del Voto Nacional is another spectacular church. It is built on the hill and so is visible from various part of the city. Though we got to the church at closing time, we have only heard of an incredible interior. In fact, the church allows tourists to climb up to the spire for a great view. Definitely something we missed out on! Other than this, all the other mentioned churches and plazas are remarkable as well. During the day, most places are full of people and it is a joy to walk around the old city and take it all in. 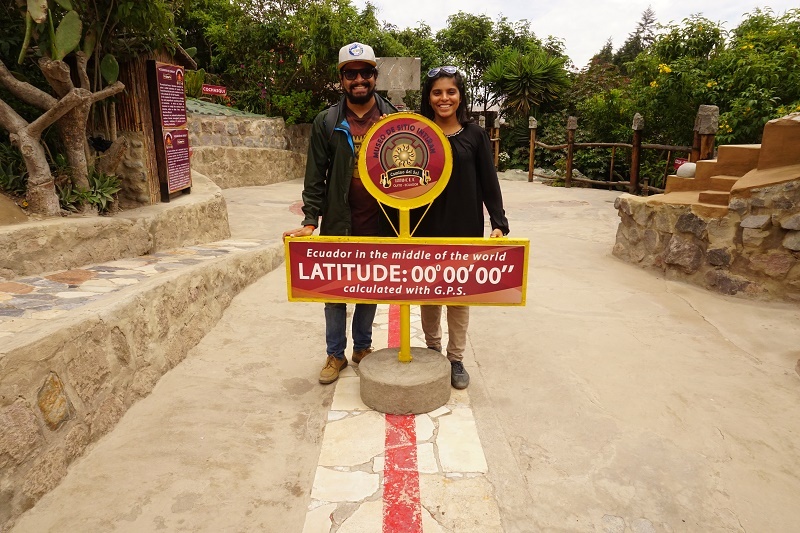 Ecuador literally means the Equator. 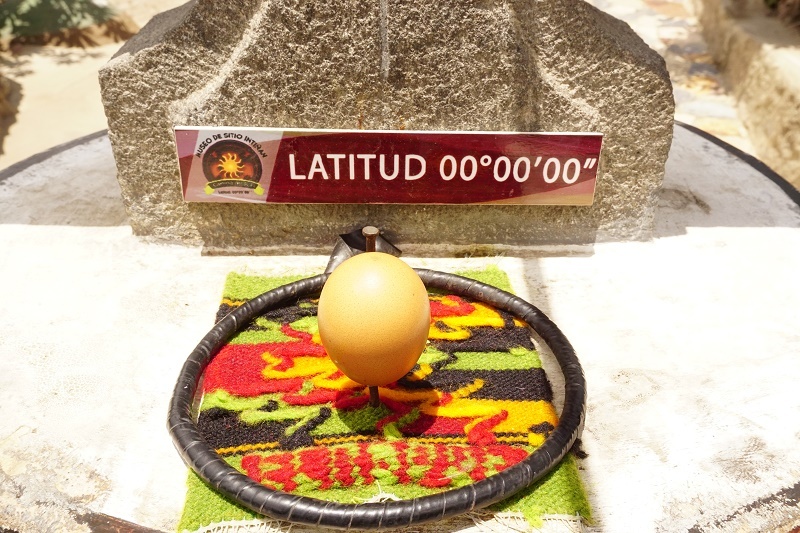 The equator line passes only a short distance from the city of Quito. Getting to it is quite easy on the MetrobusQ. $0.25 will get you to the Ofelia Terminal in the north of the city where there are lots of bus going to Mitad Del Mundo for $0.25. Whether it had the equator line or not, it was a magnificent area with mountains on all sides and the Volcano Cayambe nearby. Once we reached there, we were a little confused. 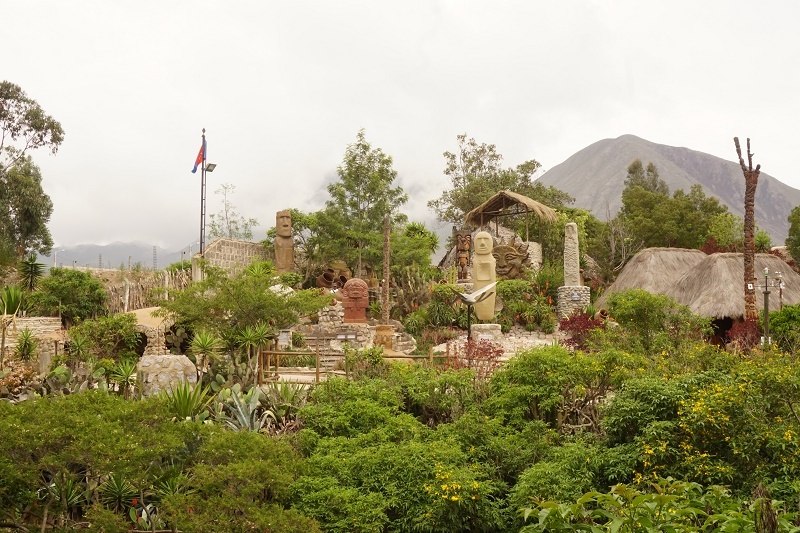 The official equatorial monument was a huge precinct with museums, historical sites of the French expedition, restaurants, playing sites for kids and the monument itself. We had heard that this monument was actually inaccurate and there was another museum with the modern current line. However, we could not see it anywhere. After asking the gentleman at the entry, we were told its a little further up the road. 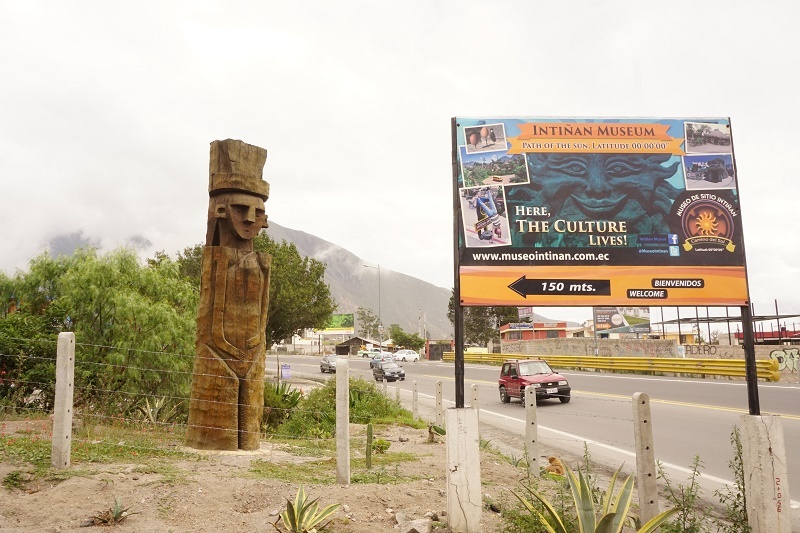 We walked to the Intiñan Museum which was the native museum and right on the equator line as proven by GPS. Seen from a distance, the museum looked like a native village with little huts and totem poles from around South America. We paid $4 for the entry and tour in English. 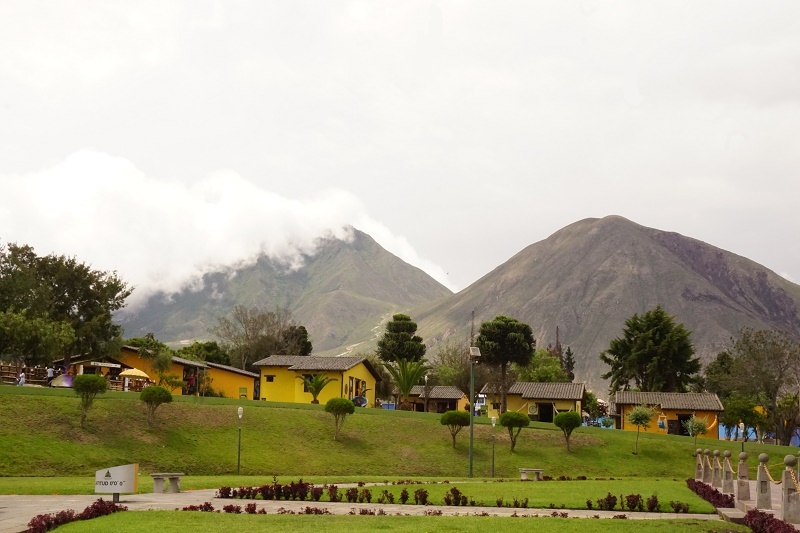 The tour involved some experiments showing the effects of the equator line and history of Ecuador, its native people and its crops such as coffee and cocoa which originated in Ecuador. Shruti even managed to balance an egg on a nail! After finishing the tour, we bought some post cards with an equator rubber stamp to send home. Following on, we bought entry to the government’s official monument area. It was huge, touristy and very historical. 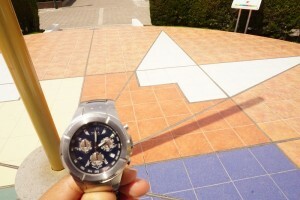 There was a gaint sun dial and the time shown was accurate, obviously! 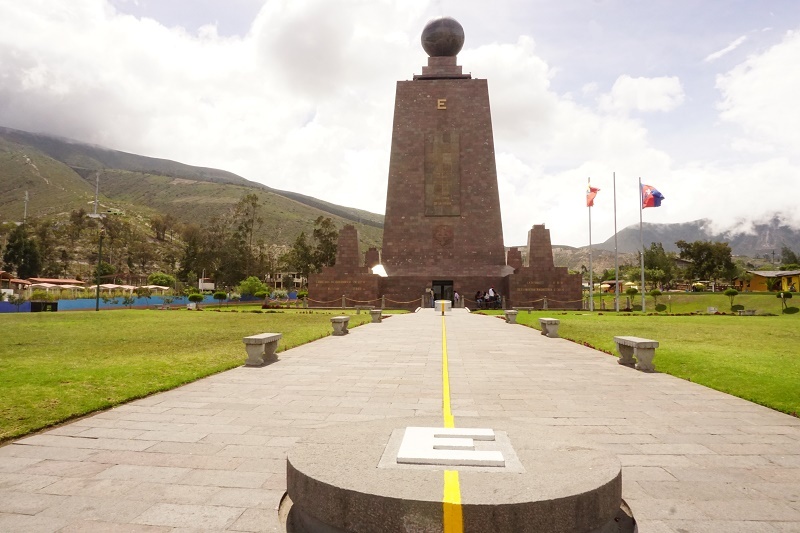 A French expedition in Ecuador found the equator line in the 18th century. While it was an accomplishment for the time, the actual line was 240 metres away. Despite this, the government’s official line is that the equator line is 5 km wide so all the equator memorials in the area are correct. We’ll always believe that we visited the correct line first! Our main aim in Quito was to apply for Peru Visa for Shruti. See this post for the outcome :( The Mariscal area was the closest to it. What we didn’t know was that it was a tourist area as well, similar to El Poblado in Medellin. On one hand, we had lots of restaurants to go to and lots of bars to drink in. However, the prices were way high. Our time in Mariscal was mostly limited to the hostel as we had to plan our next moves post laptop theft and denial of Peru Visa. We did ended up going to a great Indian restaurant in Mariscal, Shere Punjab restaurant. The food was just like home and the tea was to die for. However, we noticed an oversupply of Indian restaurants and Indian bars. 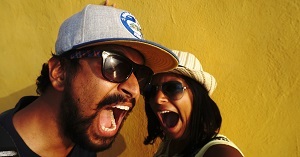 So far in South America, we hardly met any Indians so it was surprising. However, we put this down to the illegal immigration where agents make a promise of getting people to US or Europe but leave the potential migrants in a 3rd world country. One of the nights was the night of Copa Libertadores and the local club, Liga de Quito was playing. Entire Mariscal looked like a Saturday night and it was full of people. We didn’t dare enter a pub but the atmosphere was nail biting and fans partied till late at night on a Wednesday. Go figure! The absolute best thing about Quito is its transport system. There are 3 metro lines, Metrobus, Ecovia and Trolleybus. All of them run north to south and have dedicated lane in the middle for it. This makes them a fast option to travel and economical for only $0.25 cent per person per ride anywhere. nothing like Singapore! Singapore is just hot and humid, Quito is surrounded by mountains so it does get really cold when the clouds roll in. Previous Previous post: Quilotoa Loop for Everyone?